You would have seen the caption "Smoking Kills". Even a five year old child knows that smoking is bad for health. So this post is not about the ill effects of smoking. If you wanna know about the ill effects of smoking, there are umpteen articles about it. This post will not make smokers to quit smoking. This post is about the mind games that cigarettes played with my life. Yes Smoking Pulled me towards it all these years. Now it still does. But I don't smoke any more. Why? Here is my story about the love affair I had with cigarretes. I was clean during my school days. But when I entered college, I wanted to try smoking too. How would it feel like? Would I cough when I smoke? Will it hurt my lungs? Will I die soon? Will my lips turn black? All these questions ran in my head when the thought to smoke came across my mind. One day I tried it. I did not want my friends to know that I was about to smoke. They were expert smokers. I did not want to be mocked at by them. Wills was commonly smoked by the college students and hence the petty shop had a good stock of that brand. After getting a cigarette, I rushed back to the college hostel. When no one was around, I lighted one end of the cigarette. The cigarette flamed big time and that is when I realized that I had actually lighted the filter bud end of the cigarette which was ought to be kept in the mouth. I was dejected because of the Rs 2.50 that had just burned before my eyes. The next day, I again went to the same shop and bought another Wills Cigarette. This time I was successful in lighting the cigarette. But I did not know how to smoke it. I kept one end of the cigarette in my mouth and dragged the smoke in. After dragging it, I blew them away. Nothing happened and I did not even feel that I had smoked. That is when Robert came to the shop to buy some cigarettes. He saw me standing there with a cigarette and he was shocked to see me holding a cigarette in my hand. He smiled at me and asked , "First time?" "Are you finding it difficult to smoke?" He then taught me the nuances of cigarette smoking. His sentence "Smoking is like breathing. When you inhale you should only concentrate on inhaling and when you exhale you have to breathe out the smoke" is still fresh in my memory. Yes I coughed. But I learnt to smoke too. Time flew by. I had become an expert smoker. During college days, we never smoked a cigarette alone. We all believed in the concept of "Sharing is caring". At least 8 of us would share one cigarette. We all knew that cigarrete smoking was injurious to health. But we did not care. Playing cards, carrom board were an important activity during our college days. All these games were always accompanied by smoking cigarettes. There were some guys who found it difficult to perform their morning duties without the help of smoking. Soon I was in the group too. Smoking had become a part of my life. I would wait for lunch time to go and smoke with friends. Smokers in college were labelled as the men in the big league. Days passed.. Only my friends knew that I smoked. No one in my family circle knew that I had the habit of smoking. I was an angel according to them. Soon I finished college and entered the corporate world. In the corporate world, It was cool to smoke in the smoking zone. Holding a cup of coffee in one hand and a cigarette in the other is a very common scene in the IT world. I was there too. The brand changed and as I had more money, the cigarette brand also progressed to a better range of cigarettes. Then Why smoke? That's one question, none of the smokers have an answer to; but everyone will say one answer or the other. One thing I always noticed was that when ever I smoked, I collected excess saliva in my mouth and I had to constantly spit them out. Additionally, my skin became dry and I started getting pimples every now and then. My face would become oily and I would never have that fresh look. More over when ever I smoked, I found it difficult to breathe normally. It was because in addition to the oxygen I was inhaling, I added nicotine to it. I knew that my body was becoming weak. But still I continued smoking because it had become a habit. There came a time when I tried to control my smoking behavior. I used to smoke a pack of cigarettes everyday. I was not a chain smoker. But still the number was huge. I first set a target for myself - that I should not smoke more than 2 cigarettes per day. I succeeded in this on some days; but on the long run I failed miserably. Then I decided to avoid going the the petty shop where I bought the cigarettes. So I started taking a different route to work everyday. This worked for sometime. But still when ever a colleague offered me a cigarette, I was not able to say No. Smoking pulled me towards it. Some days I would feel really bad that I was cheating my family and this thought would keep me away from smoking for sometime. But again this was not a remedy too. I would fall for it again. One thing I noticed was the more I moved away from cigarettes, the more attractive it became to me. But still I had reduced the consumption by a large margin. A friend of mine came home and we bought some cigarettes and started smoking and suddenly I started coughing to glory. Only beginners would cough and expert smokers would never cough. But why was I behaving like a beginner? Why was I coughing? I never knew the answer. I had reached a point where my body was not liking it all. The moment I kept the cigarette on my mouth I started coughing. I really did not understand what was happening. It might have been a sign from my body to remind me that it can't take any more of my nonsense. That was the last day I smoked. It has been a long time now. I go to petty shops; but I don't feel like smoking now. Smoking never pulls me anymore. I meet people who are addicted to it. I meet people who are trying to quit. I meet people who love to smoke. Smoking does kill and a person will quit smoking only when he starts hating it. Until then it will keep on pulling him towards it. No one can gradually reduce smoking. If you are planning to quit smoking you have to take the bold decision of stopping it once and for all. At the same time even after you have made that decision, you will have umpteen opportunities to smoke again. How you respond to that call will actually determine whether you have actually quit smoking or not. If you had quit smoking, share your story of how you quit it. Also tell how your health is after you quit smoking? Your story might help someone who is searching for an answer. Wow!! trust me i am not jokein my story is the same!!!! wow!! I too have the same story..!!!! Most of the people started smoking in college days with a single puff and soon it becomes a habit. 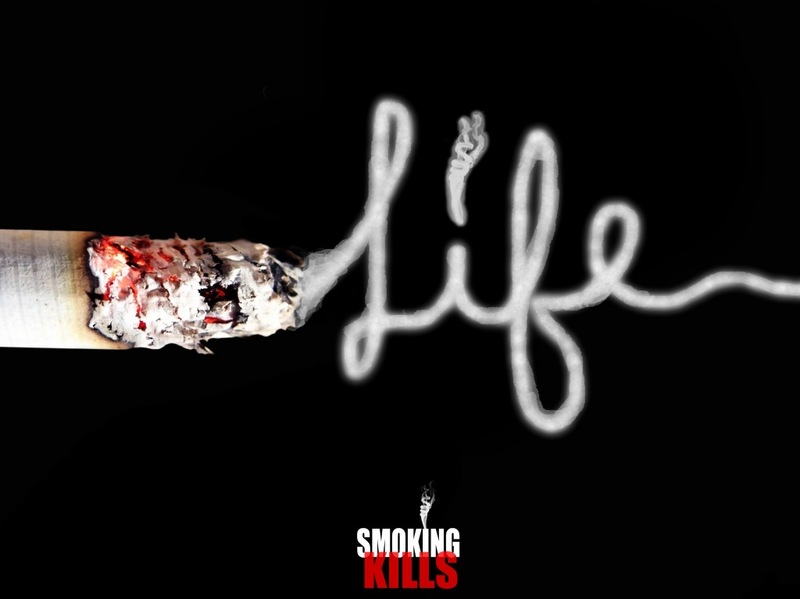 You have quitted smoking and people should learn from your story. You were having cough problem due to smoking, but I have seen many people suffering from lung cancer and various other disease due to smoking. My uncle was also a smoker and I gifted him electronic cigarette to give up smoking as they are health option to use instead of using regular cigarettes. With e cigarettes difeerent flavours it was easy for him to switch to these cigarettes. Instead of saying that we will quit people should actually try to quit smoking.